The Sunshine one smells really nice. Waste of journey and time. They are having empty boxes not stock. Saw this yesterday and had a quick look. Initially looked good with a resolution of 1280 x 720 but it said "interpolated" then went on to say 640x480 so I suspect it is a fairly low resolution camera. Anyone seen any Sussex way? These are great, one of the best under £25 imo. However they never seem to last, use them with wires now. Has anyone found any of these in a London TESCO?, thanx. Where from. Our phone does ring occasionally. But it’s been broke for a year. At such a bargain price I might get that so I can put it down on all the PPI people. Just to let you know that Tesco Direct closes down tonight for good. If you want this then just go straight to the Box website. As far as the price goes, buy direct from Box and you can get it for £549.97. Personally, I think you are getting a lot for your money including a dedicated 2gb graphics card and 8gb of ddr4 ram. Stick in an ssd and off you go. I'm giving it some heat. Just been on Newegg. I cant find it. Do you have a link? £60 for warranty and alot of people complaining about this company selling repackaged, damaged or refurbished products. I personally only buy from established trusworth companies. Newegg is an American retailer. Currently £110 on Amazon. Reminder... potential hozepipe ban incoming! Wish I would have seen this 5 days ago! I bought 30m hose and a 'cheaper' make for £90! Have also been trying for couple of week, says low stock until you get to check out - then says no stock available. Me neither and been trying for weeks. Doesn't look like my TV will fit in that cupboard. So few Tesco Direct deals. I reckon Tesco simply sold most of their stock to Amazon who will flog it on Prime Day. These things are only as good their app. I'd pay a teensy bit more for a well established tracker such as the mi band 2. Leather? Couldn't be bothered polishing it. 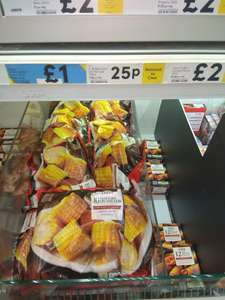 Great deal at tesco stores. Brabantia bin for £30! £25 in Tesco Bradford Extra today. Part of tesco’s direct clearance before closure. Limited to one size but may be good to someone. This was on the other day not in stock when you go to checkout. THIS MERCHANT IS CLOSED AND BEEN REPLACED WITH TESCO NON-FOOD RANGE. SEE THE WEBSITE HERE. Tesco is one of the UK’s retail giants, operating over 3,000 stores across the country. It’s come a long way since being founded in 1919 and has a presence in 12 different nations. 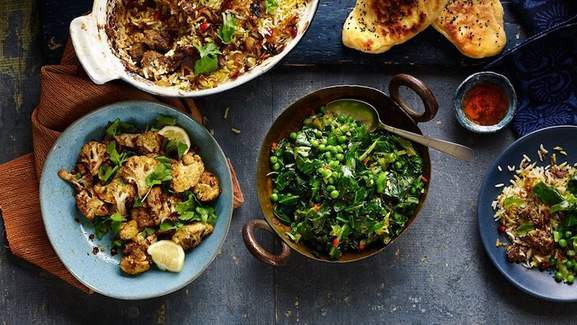 Tesco Direct is the firm’s online retail arm and it allows customers to order a huge selection of products for home delivery or in-store collection. *Please note that the Tesco Direct online store is set to close on July 9, 2018. You will still be able to place an order up until July 9th, 2018 while stocks last. 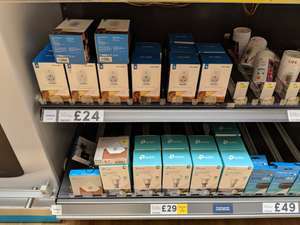 A selected range of Tesco Direct items, such as groceries, embroidery service and mobile products, will be available on tesco.com and clothing, gifts, electricals and homeware in-store. Unfortunately, large items like mattresses, bikes and furniture will no longer be available. You can find your nearest Tesco Direct store via the store locator on the website. Just enter your postcode and filter the results accordingly. If you are shopping online, you can choose to display only those Tesco stores that offer Click and Collect services. Technology & Gaming – Including computers and games consoles like PS4, Xbox One and WII U, video games, mobile phones, iPads and tablets, camera and video cameras, GPS systems and printers. Home Electrical – Including appliances like irons, air conditioners, heaters, phones, sewing machines, lighting, hair dryers, electric toothbrushes and vacuum cleaners, as well as large appliances like cookers, washing machines and dishwashers. Home – Furnishings for the living room and bedroom, bathroom items, crockery, kitchen utensils, airers and dining room furniture. Garden – Featuring BBQs, outdoor heaters, gardening tools, lights, furniture, sheds, mowers, strimmers and even plants and seeds. DIY & Car – Cleaning tools and liquids for the car, power tools, sat navs and car parts, home cleaning tools, paint and brushes, and pressure washers. Toys – Arts and craft materials, Lego, board games and puzzles, branded girl’s and boy’s toys, outdoor toys and fancy dress costumes. Sports & Leisure – Sporting equipment, bags & luggage, bicycles, gym devices, musical instruments, home brewing kits. Baby & Toddler – Nappies, cots, baby clothing, baby monitors, stair gates, bouncers, walkers, swings, prams, bedding and high chairs. Party & Gifts – Party accessories, decorations, flowers, gift wrap and balloons. Entertainment & Books – CDs, DVDs, Blu-rays, DVD and CD players, vinyl records, books, and magazines. Health & Beauty – Bath & body, dental products, skin care brands, men’s shaving, make-up and personal electrical items like beard trimmers or hair straighteners. Clothing and Jewellery – Tesco stocks its own F&F clothing range, which features men’s, women’s and children’s clothing, as well as a variety of major clothing and apparel brands. If you intend to make a purchase at Tesco Direct, the first thing to do is to register for a Tesco account. When you spend money in Tesco stores or online, you will receive 1p of Clubcard credit for every £1 you spend. This credit can be spent on Tesco products or redeemed as rewards such as theme park visits, at a rate of up to four times their cash value. Find out more about your options as a Clubcard member at the Tesco website. The easiest way to find Tesco Direct’s current offers is by visiting the firm’s web page. The offers page collects any recent discounts and sales currently being offered by the store. The clearance section is exactly what it suggests – a place to find one-time “when it’s gone, it’s gone” offers. When seasonal sales are in progress, you can also find details at the sales page. Tesco Direct runs annual Christmas and New Year’s sales, so check their pages regularly to track the current deals. The store also participates in November’s Black Friday retail event, which is a chance to secure huge savings on all kinds of goods. Tesco Direct accepts a wide range of payment methods, including VISA, Maestro, Mastercard, American Express and Tesco Clubcard. Tesco also uses the Verified by VISA payment protection system to ensure that all transactions are carried out securely. For small items, Tesco offers a range of delivery options and costs. Click and Collect costs £2, and Tesco will keep any items ordered to their stores onsite for 14 days. Standard Delivery (within 2 to 5 days) costs £3, Pick a Date Delivery (including the day after ordering) costs £5.95 and Express Delivery also costs £5.95. For books and DVDs, standard delivery is free of charge. If you are ordering large kitchen items like fridges or dishwashers, delivery will be free of charge. These items are often delivered by Tesco’s partners, not Tesco themselves. The supplier will contact you 2 days before delivery to finalise the arrangements. Any other large items come with a £7.95 delivery charge, and the delivery date can be chosen when you checkout. Tesco offers order tracking for every delivery. To track an order, go to the “my account” section and click on “view direct orders” on the Tesco Direct website. All items ordered from Tesco Direct can be returned to the company within 30 days of receipt, along with proof of purchase. Customers returning their goods can request either a refund or a replacement. There are a few exceptions, including toothbrushes, underwear and any unsealed items, but most items will qualify. If you want to return an item sold by Tesco Direct, there are a number of ways to do so. One option is to return the item to a Tesco store. Remember to take proof of purchase with you when you go. If you choose this route, check the packaging that Tesco sent you with the original item. This should include a returns label. Simply attach this returns label to a package containing the items to be returned. The label will include the correct return address. Call the Tesco Customer Service line on 0800 3234050 (0330 1234050 for a local rate mobile call) and staff will arrange a collection time and date. Tesco will cover the cost of any postage costs when returning items, as well as the cost of the item and the original delivery costs. 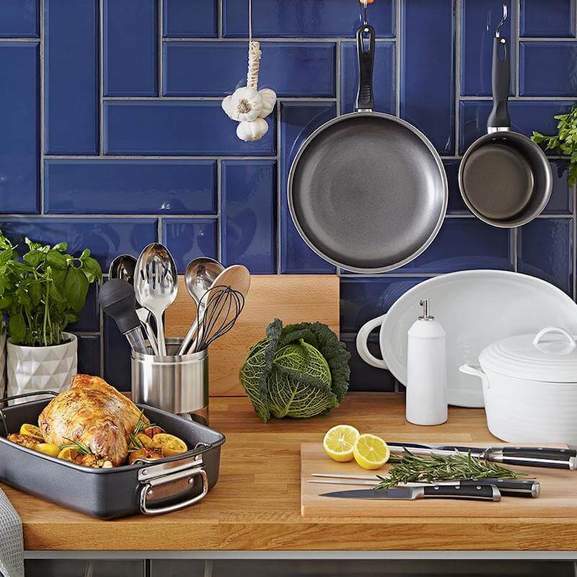 You can also keep up to date with the latest news from Tesco Direct by checking out the Tesco Living blog, which features life hacks, money saving tips and how-to guides to follow with Tesco Products. Another way to purchase Tesco Direct products or benefit from their services is by using the range of Tesco Mobile Apps. The firm has produced several apps for iOS, Android and Windows devices that allow mobile users to use Tesco’s grocery shopping, banking, clubcard, international calling and photo services. With the Tesco Groceries app, customers can shop online and manage their orders. Available for iOS and Android. To contact Tesco Direct you can call two numbers: 0800 3234050 and 0330 1234050. These helplines are available from 8:00-23:00 (Monday to Friday), 8:00-20:00 (Saturdays) and 10:00-18:00 (Sundays). The easiest way to send an email to the Tesco Customer Service Team is by filling in their online form. Alternatively, you may well be able to find the assistance you require at the Tesco Direct website. Check out their help section for answers to common queries. If you need a new appliance for your kitchen, a collection of DVDs or a cutting edge mobile phone, Tesco Direct will have what you are looking for. 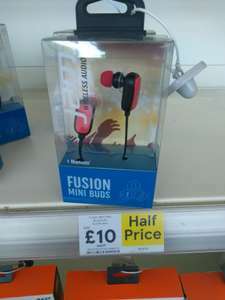 You can also find bug discounts on many of the top brands stocked by Tesco Direct by regularly checking their dedicated HotUKDeals listings pages.